With the Arrow panel at this year’s Comic-Con International in San Diego offering us our first looks at Season 7 this weekend, now seemed as good of a time to look back at Season 6 for our annual roundtable discussions! We also offer some thoughts about the upcoming seventh season. 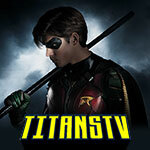 This time around, we again have GATV webmaster Craig Byrne; Matt Tucker, who recaps and reviews Arrow when he’s able and is the driving force behind keeping DaredevilTV well up to date; and Stephanie Hall, who has most recently been recapping and reviewing Supergirl at KryptonSite. 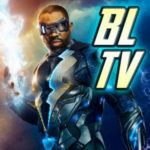 Again we are joined by frequent GreenArrowTV commenter and poster at the KSiteTV Arrow forum as “BkWurm1,” Melissa Thompson. Arrow returns Monday, October 15 on The CW; spoilers can be found here. Also be aware that especially in the sections discussing Season 7, there will also be spoilers. Navigate below to start!